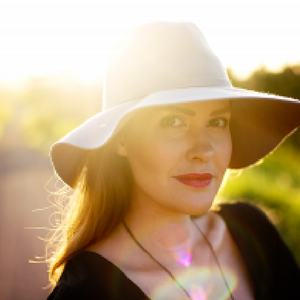 Amanda Rootsey is a Hay House author (Shine From Within; a teen girl’s guide to life), qualified life coach and youth mentor, cancer-survivor, former international model, inspiring speaker and gentle guide. 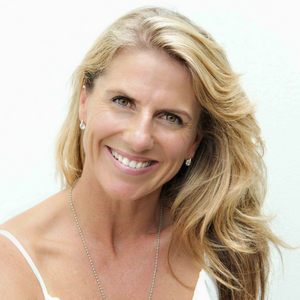 She has been teaching and presenting to teen girls since she was a teen herself and has supported thousands of young girls since launching her holistic training school, Shine From Within, on the Sunshine Coast QLD Australia in 2012. A little more gentle than many other youth speakers and facilitators, one Vice Principal said, ‘Her dignified, gentle manner – coupled with her passion for empowering young girls – was greatly admired by teachers and students alike,” Deb Thomson Kimberley College, Brisbane QLD. In 2016, Amanda launched an online Youth Mentor Training program to support passionate people feeling called to support the youth in their own community with unique workshops of their own. It brings together over 15 experts from around the world in psychology, coaching, event management, business and, of course, youth. Now in it’s fifth round, our community of youth mentors have supported teens in Africa, UK, Canada, USA, Asia, Australia and New Zealand. Amanda has appeared on The Today Show (Channel 9) and Today Tonight (Channel 7), been mentioned as a ‘game-changer’ in The Collective magazine and has been a regular columnist for Nature & Health Magazine. She’s spoken to audiences big and small all around Australia, and often volunteers her time for not-for-profit organisations and youth-mentoring programs. 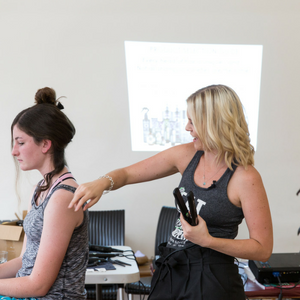 It was a 2-year battle with cancer that really inspired Amanda to bring together a team of experts and inspiring guest teachers to create her unique training school. Her time as an international model in her early 20’s also opened up her eyes to the tortuous relationship that many girls have with their bodies and prompted Amanda to deepen her understanding of positive body image issues in teen girls. Nothing gives her greater pleasure than to see her students realise how beautiful they are inside and out, take responsibility for their own health and happiness and truly shine bright. With a background in teaching teen personal development courses spanning 10 years, life coaching and youth mentoring qualifications, a passion for natural health and a Hay House book on the way, Amanda is leading the charge in a new wave of teen education. On a personal note, Amanda lives with her partner, David Rafter and their ‘fur baby,’ Trudi. 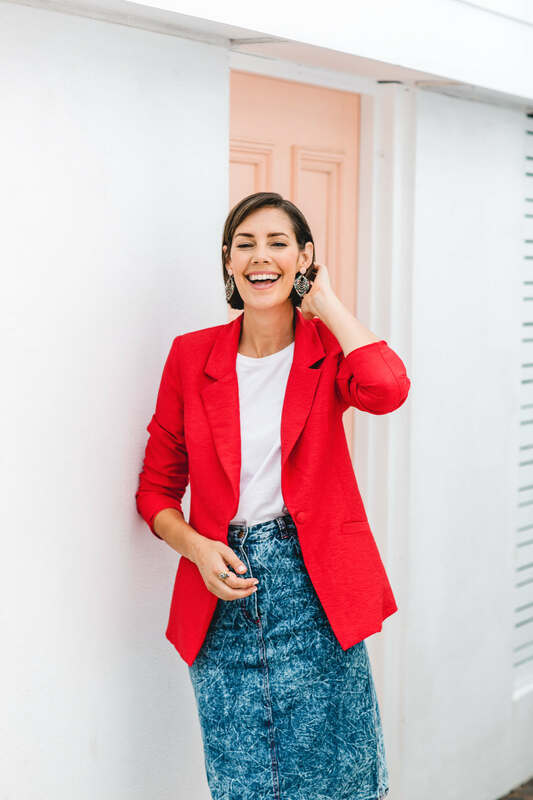 As well as facilitating workshops and mentoring young women, she’s also passionate about raising the profile of eco-friendly fashion and gentle living, which you can read about over on her blog here. Brylie Hillegers is a qualified Graphic Designer, an illustrator and former Shine From Within student. Brylie is our administration assistant and graphic designer. She has also done design work for many of our beautiful Youth Mentors. After attending the Shine From Within Personal Development course in her last year of high school, she is now passionate about nourishing food and living a more gentle, positive life. Brylie joined the team to help out straight after her course. She has helped behind the scenes at many of our workshops and nothing makes her happier than seeing the girls at the end of each course see their worth and potential when they realise just how beautiful they are inside and out! She has recently moved to New Zealand where she continues to work as our assistant and designer. Leah Castle is a former Youth Worker, a qualified Youth Mentor (she trained with us last year) and now runs her own business supporting teens on the Sunshine Coast called Sharing Our Unique Lives (S.O.U.L). She works with us to support our youth mentors through the Youth Mentor Training as well as assisting us wherever possible at our teen and tween courses. Kylie is a health-conscious salon owner, professional make up artist and the creator and founder of Kylie’s Professional MakeUp. Kylie’s own super-sensitive skin lead her on a quest for non-irritating and safe skin care and beauty products and eventuated in the creation of Kylie’s Professional Mineral Goddess make up range. This range of Australian-made, 100% cruelty-free cosmetics has been produced with the purest, medical-grade, natural minerals currently available and are free from irritants which are commonly found in other make up. It fits in well with Shine From Within’s values and we use Kylie’s products exclusively for all of our courses. You can find Kylie’s products in our online store, here. Kylie is often too busy to join us for the courses but has trained Amanda extensively on her methods so that she can take the class confidently! Nat Lynn has worked in the fashion industry for over a decade. She began as a model with one of Australia’s leading agencies and has had a successful career working throughout Australia and internationally for 12 years. Nat spent 4 years as a stylist and has been a fashion and advertising photographer for the past 8 years, working with some of the best in the business. She is also the owner and Managing Director of MILQUE PHOTOGRAPHY, a fashion inspired wedding photography business. Shine’s Personal Development Course students each do a photoshoot and Nat’s team of highly skilled photographers ensure that each and every student’s light shines through in these images. It’s such a beautiful experience to see how Nat and her photographers gently guide each student to feel comfortable in front of the camera. ** Please note we now have a team of photographers that we switch between depending on availability. Others who we LOVE to work with include Bayleigh Vedelago, Moriah Overell (also one of our first students!) and Renee Bell. Kim Morrison set a world record as the youngest female to run 100miles in less than 24 hours. Cliff Young was her mentor throughout and still to this day lives by his ethos that success is 90% mental and 10% physical. She has used her running story as a direct metaphor for life – riding the highs, hitting the walls, pushing through the pain barriers, crossing the line and never, ever giving up! She believes combining your inner power and passion, applying your commitment and having truckloads of self-belief is what distinguishes you as an achiever. It’s about visualising your dream and going for it – regardless of the feedback you receive or the challenges you face. Over the past 11 years Kim has co-written 5 international best-selling books with her bestie – Fleur Whelligan – their most successful and popular one ‘Like Chocolate For Women’. They co-founded Twenty8 Aromatherapy in 2009 – with the aim to provide affordable yet luxurious, ethical and chemical-free skincare and aromatherapy products that are easily accessible to everyone. We use this range exclusively in all of our courses and sell the range here. “I am so excited to be a part of this incredible initiative and to work alongside the amazing Amanda Rootsey and I look forward to presenting the natural skincare and self care component. This is an extraordinary opportunity for young women to really get what they are about and to investigate positive self-esteem, self-care and self-worth. I recommend this course to ALL women wanting to be their absolute best version of themselves, its about finding that inner spark and shining the light for all,” Kim Morrison. Check out the beautiful range of Twenty8 Aromatherapy skincare here. 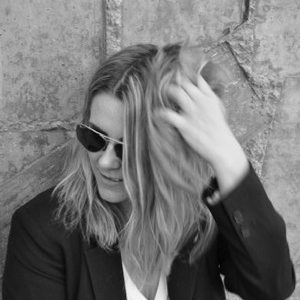 Zoe Champion is a freelance Creative Consultant and Style Director. She has skills, experience and expertise that stretch from coastline to coastline, across oceans and spans the depth of over a decade. She specialises in working with graduate, emerging and established fashion designers to build brand continuity, collection consistency, demographic connection and market integrity. Zoe lived and worked in London for five years, supported the flagship Stella McCartney Public Relations department during Paris Fashion Week, and also assisted a couture editorial team in Spain. Since her return, she has acted as Style Director for the Sunshine Coast Fashion Festival, been a creative mentor for Australian Indigenous Fashion Week, and was also invited to lecture on the Master of Styling at the University of Technology, Sydney as apart of the Australian Indigenous Fashion Week Design Program. Zoe has always felt a strong affiliation with young women and is excited to educate them on the importance of celebrating ones true shape, ones true identity, and ones true style. Adele McConnell is a published author, founder of Vegiehead.com, The Vegie Head Academy, co-founder of Make Some Real Dough, and digital author of 10 books, programs and courses. 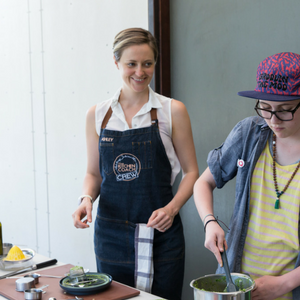 She’s demonstrated her fun, upbeat and approachable style of cooking to thousands of people all over Australia at some of the country’s largest expos and in private cooking workshops. Adele focuses on Intuitive Cooking and Eating, and her sell out workshops on her National Tour in 2014 were a breath of fresh air in the cooking industry. Adele has a background in Nursing and Beauty Therapy; and has used her knowledge of the skin to help thousands of women and men all over the world with her live online events; where you’ll see Adele giving herself a facial, talking about acne and clear skin, and how to use mineral makeup the correct way. Ashley is an inspiration in the kitchen; a qualified Health & Lifestyle Educator; a dedicated quiet yogini and meditator; and an advocate for vibrant health naturally. Her background is in structural engineering and now channels all those learnings in organisation, efficiency, and problem-solving into helping people establish a solid foundation for health in the home. She won’t stop until she has positively transformed, and personally touched the lives of 1,000,000 people. Ashley does not restrict herself (or anyone else) to any particular diet other than “healthIER”, step-by-step, day-by-day, gradually making changes that last, and only so fast as to still enjoy and delight in the process. “It is about integrating these gradual changes into your current lifestyle so that they become the new ‘normal’ “. Her natural ability to combine flavours and create easy, wholesome meals with whatever’s available has inspired many already to be able to do this themselves. Kelly is an experienced health and fitness professional who is a passionate believer in inspiring and empowering women of all ages to lead a healthy and balanced life. She uses simple and effective strategies to help women find new ways to be more active and mindful in daily living and loves to see her clients achieve beyond what they once thought possible. Kelly’s proven 20 years of educating other trainers and a wide range of clients, means that she comes from a strong position of knowledge and experience, to understand what is needed to maximise someone’s potential. Kelly has recently founded Luxe Fitness Escapes. A personalised luxury lifestyle escape providing an exclusive opportunity to prioritise wellbeing whilst enjoying the best lifestyle and fine dining experiences Noosa has to offer. Kelly will be teaming up with Shine from Within to offer a unique Mother & Daughter Escape in Noosa later this year. Kat Harding was first introduced to yoga when she asked for a yoga DVD at the age of 16. 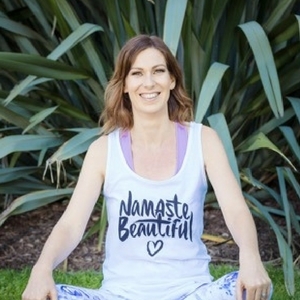 As fate would have it Kat floated between yoga studios and teachers until at the age of 24 she experienced the uplifting feeling and desire that comes with finding your teacher, your style and your place on the yoga mat. Shortly after this experience, she returned to England and found a teacher who introduced her to the Eight Limbs of Yoga and Astanga yoga, enticing her to want to know everything she could about why yoga made you feel so good. 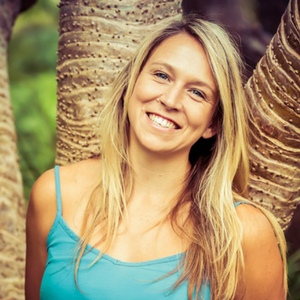 It was this want for knowledge and a passion for healthy living that lured Kat into the realms of teaching and sharing her yoga practice with the world Kat is a qualified Yoga and Stand Up Paddleboard Yoga Instructor, who lives on the Sunshine Coast and is also the co-author of the Get Active, Nourish & Be Grateful EBook. She believes in doing everything in moderation and that the most important lesson she hadn’t learnt in her teens was to follow your intuition, to listen to your body and to work hard for things that you are passionate about. Kat wants young girls to remember that it’s important to be exactly who you were meant to be and that when you are you will be able to find happiness and love for yourself and those around you in everything that you do. Coolum-based EverEscents is an Australian-made, professional quality organic hair care company. Here at Shine From Within we’ve never come across a hair care range that is natural, organic AND actually works well! Once you try EverEscents, you’ll never go back. The family company have been so supportive of Shine From Within, and the students are lucky to learn all about the importance of taking care of their hair naturally. You can read an interview we did with the General Manager here and you can check out their online store here. 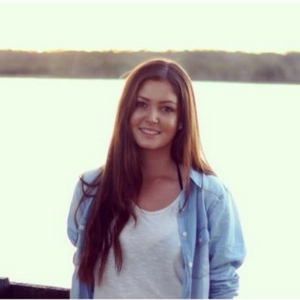 Isabella Lynden is a remarkable young woman. 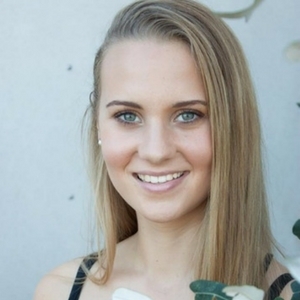 She was the 2015 School Captain at Sunshine Beach State School, is now at Uni and is passionate about healthy eating and helping young girls achieve the best they possibly can. She truly is a voice for the teenage generation and her enthusiasm, creativity and work ethic is an asset to the Shine team. Issy ensures that what we teach and how we connect with young people is conducted in a way that best serves their needs. She also assists with social media strategies and management, connecting with the community and taking care of our juicy gift bags. Here at Shine From Within we are dedicated to ensuring our students receive the most up-to-date and useful knowledge in our courses. To assist with this, we’ve invited some leaders from various industries to make up our new Advisory Board. The Advisory Board members are supporters of Shine From Within and offer advice and support on various topics. Meet our very first Advisory Board members by clicking the button below.